We have a variety of delicious and nutritious recipes made just for your dog. We have a variety of delicious and nutritious recipes made just for your cat. 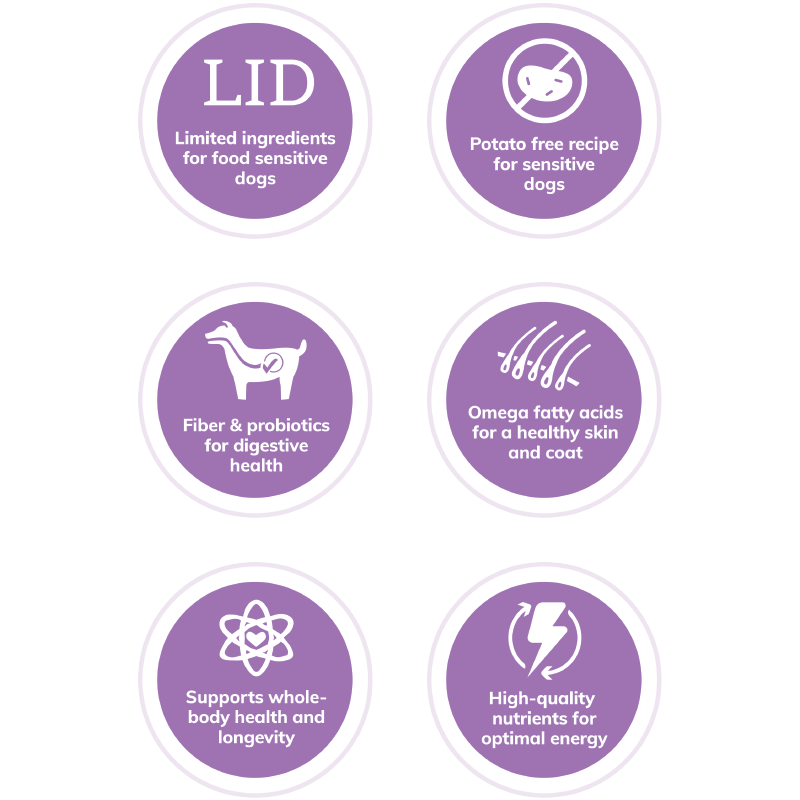 At Wellness, every ingredient chosen has a purpose, especially when it comes to dogs with food sensitivities. These natural, limited-ingredient diet dog food recipes keep it simple with a single source of protein and easily digestible carbohydrates, without extra fillers or additives. This short, yet complete, list of key ingredients nourishes simply and completely from the inside out with results you can see. Share your photos for a chance to see your pets on our website. 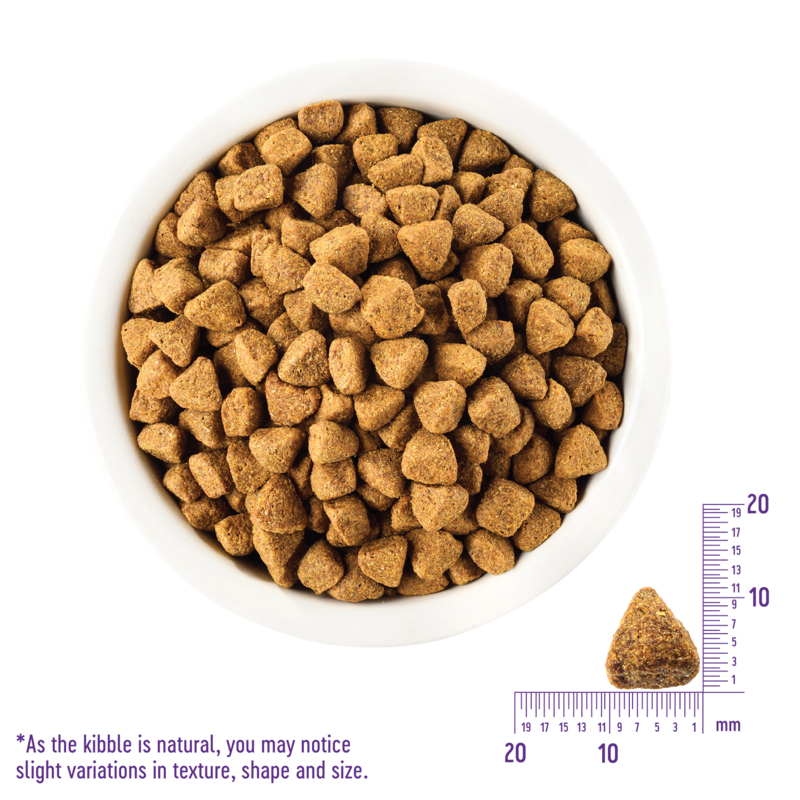 We make every mealtime count by using high quality ingredients to help your pet live a long and healthy life. View full ingredient list. Lamb, Lamb Meal, Oatmeal, Peas, Ground Rice, Millet, Ground Flaxseed, Canola Oil (preserved with Mixed Tocopherols), Tomato Pomace, Natural Lamb Flavor, Chicory Root Extract, Vitamin E Supplement, Choline Chloride, Taurine, Mixed Tocopherols added to preserve freshness, Zinc Proteinate, Zinc Sulfate, Calcium Carbonate, Niacin, Ferrous Sulfate, Iron Proteinate, Beta-Carotene, Vitamin A Supplement, Copper Sulfate, Thiamine Mononitrate, Copper Proteinate, Manganese Proteinate, Manganese Sulfate, d-Calcium Pantothenate, Sodium Selenite, Pyridoxine Hydrochloride, Riboflavin, Vitamin D3 Supplement, Biotin, Calcium Iodate, Vitamin B12 Supplement, Folic Acid, Ascorbic Acid (Vitamin C), Dried Lactobacillus plantarum Fermentation Product, Dried Enterococcus faecium Fermentation Product, Dried Lactobacillus casei Fermentation Product, Dried Lactobacillus acidophilus Fermentation Product, Rosemary Extract, Green Tea Extract, Spearmint Extract. This is a naturally preserved product. Wellness Simple Lamb & Oatmeal Formula Adult Dog Food is formulated to meet the nutritional levels established by the AAFCO Dog Food Nutrient Profiles for maintenance. DOGS OVER 125 LBS: Add ¼ cup per additional 10 lbs. COMBINATION FEEDING: If feeding with Wellness Wet Food, reduce dry amount by ⅓ cup for every 6 oz of wet food. Every dog is a little different, so optimal feeding amounts may vary with age, size, activity level, breed and environment. Please use feeding recommendations as an initial recommendation and adjust as needed. Calorie Content: This food contains 3,443 kcal/kg or 406 kcal/cup ME (metabolizable energy) on an as fed basis. We have store and online options. Just enter your zip to get started. Want coupons, advice and more? Join our community for exclusive savings, pet care tips and more! Get exclusive savings, pet care tips and more! Chat hours: Mon-Fri, 9:00am – 4:00pm EST.